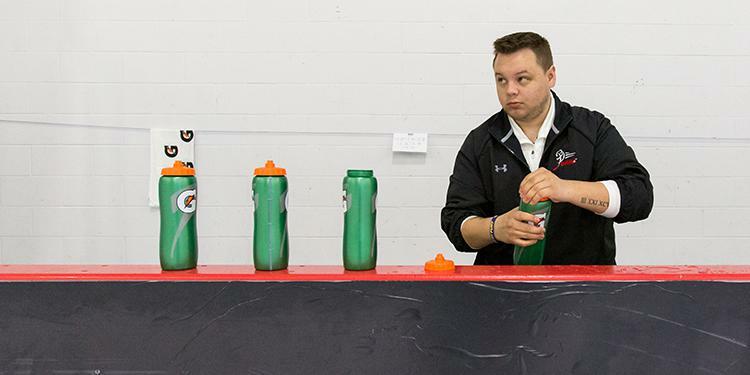 Trainers serve an essential role on the bench staff. While they may not be directly involved in what's happening on the ice there is a lot of work that goes into making sure everyone is safe and prepared to play. Along with their presence being mandatory, trainers can serve as a bit of a jack of all trades. They can be equipment managers and in charge of providing supplies, along with dealing with any injuries that may occur. It is critical for a trainer to be able to quickly identify, assess and react to any possible problems or injuries that arise during a game. Every day brings a unique set of circumstances and trainers should be prepared for anything to happen. Create an Emergency Action Plan, establish it with your team and rehearse it throughout the year. Get familiar with the rink before your game begins – locate the defibrillator, know where the arena staff are and find your way to the nearest emergency exits. Sometimes hockey isn’t always the first sport of a trainer. Learn the basic rules of the game and don’t be afraid to ask questions as it shows the coaching staff you care about knowing what’s going on. It will also help with your timing in relation to the game clock and whistles if you are dealing with other issues at the same time. 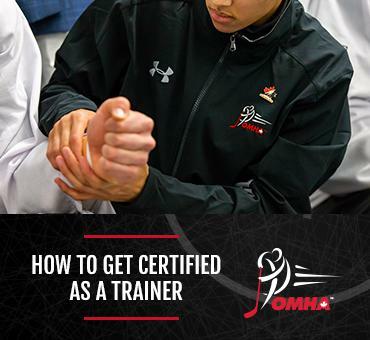 It is mandatory that you have the proper trainer certification before being allowed to be behind the bench. Sign up for an online HTCP Level 1 e-learning course now! 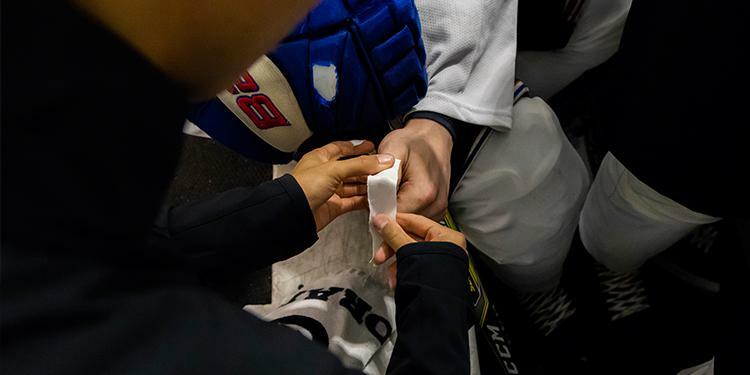 Before heading out to the rink, check to make sure that your first aid kit is fully stocked and you have any other equipment and gear that you need. If you’re attending an all-day our weekend tournament, it is a good idea to bring some extra supplies with you on the trip. There are plenty of reasons why people choose to get involved in minor hockey but it is always important to remember that you are providing players with a positive sporting experience. Accepting a position on a team staff comes with the understanding of contributing your time during the evenings and weekends for practices, games and tournaments. You are making a commitment to the team. While officially behind the bench and working side by side with the coaches, remember that it is not your job to call for plays or instruct players on the ice. You will already have your hands full with other responsibilities but you shouldn’t overstep and interfere with what the coaches are telling the players. Work together but let them do their job. Trainers should be ready to interact with players, parents and coaches before, during and after a game. Be confident in what you say and be prepared to answer any questions that may come your way. Your responsibilities are very important to the team. Tony Caravaggio is a native of Paris, ON and has held the position of Chair, Trainers Program since the 2016-17 season.